India lifts ban on use of Chinese cranes at ports. India has lifted the ban imposed on use of Chinese cranes at ports across the country, a move that coincides with Prime Minister Narendra Modi’s visit to the neighbouring nation aimed at furthering bilateral ties. “We have received the permission from defence ministry to use these cranes in our ports now. We have given them all assurance,” a senior shipping ministry official said. The shipping ministry received a go-ahead from the defence ministry after several rounds of discussions over thein strategic Indian ports. “There were apprehensions that the cranes could be used to monitor or spy on the movement of our naval ships,” a senior government official said. After almost a year of discussions, the defence ministry has allowed the Mumbai port and Tuticorin VO Chidambaranar port to go ahead with the installation of cranes supplied by China’s state-owned Shanghai Zhenhua Heavy Industries Co (ZPMC). The shipping ministry had written to the defence ministry seeking security clearance for crane orders worth $115 million by different companies at the two major ports. In June last year, the defence ministry had issued an order banning the use of Chinese equipment at the ports citing security reasons. ZPMC is the largest heavy-duty equipment manufacturer in the world and owns 26 transportation ships of 60,000 dead weight tonnage (DWT) to 100,000 DWT capacity, delivering products all over the world. The company has over 75% share of the global market. “The equipment can be thoroughly examined for any ‘bugs’ before its allowed to operate. There is no reason to worry since this is not a very long-term contract but simple use of cranes,” the official added. In 2012, Gammon India’s order of 12 cranes from ZPMC got stuck due to security clearance. India has been wary of Chinese investment in port development in the past as well. 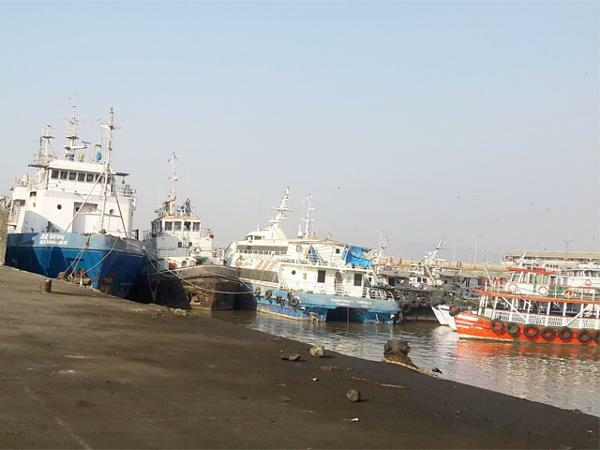 Companies including Hong Kong-based Hutchinson Port Holdings, a leading port developer, has not been able to make any inroads in the Indian port sector after failed bidding attempts. Kaidi Electric Power Co and China Harbour Engineering Co too were not given the security clearance by Kerala for their bid to develop the international trans-shipment container terminal at the Vizhinjam Port. “We are losing out in the process. If more players are allowed to come it will increase competition and improve pricing. Right now it is just a fight between a select few players,” said a senior executive, who did not wish to be named.